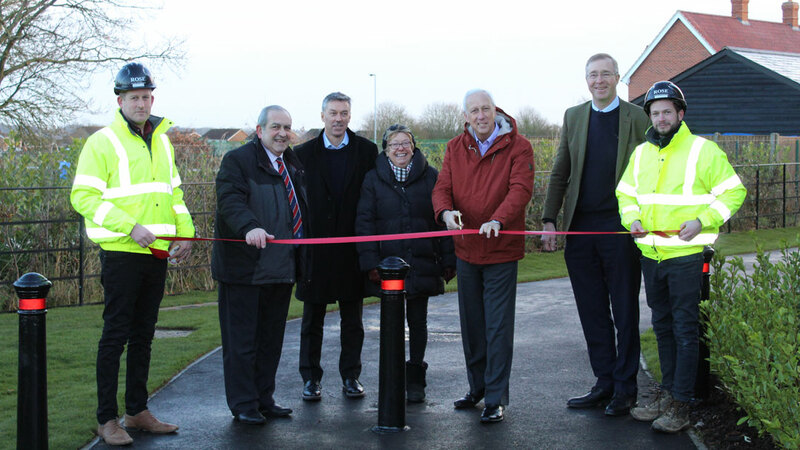 On Tuesday 22nd January, the final two pedestrian and cycle links between Summers Park and the Leftley’s Estate and Lawford Dale were opened. These cycle ways and footpaths significantly improve connectivity between the three developments and provide residents with direct access to the schools, the station, play areas and Manningtree itself. This is the final community benefit to be delivered as part of the Summers Park development. With one home remaining to be sold, all houses will be complete by the end of March.